After touring heavily in New England in support of their full length, ​Stardust Lodge​, the band heads South to promote the new record, which spent 11 weeks on the Roots Music Report top 50 Folk Albums chart--topping out at #5, and #1 on the Trad Folk Chart. It has been spun in over 50 radio stations across the county! Grain Thief is a 5-piece Americana string band from Boston, MA. 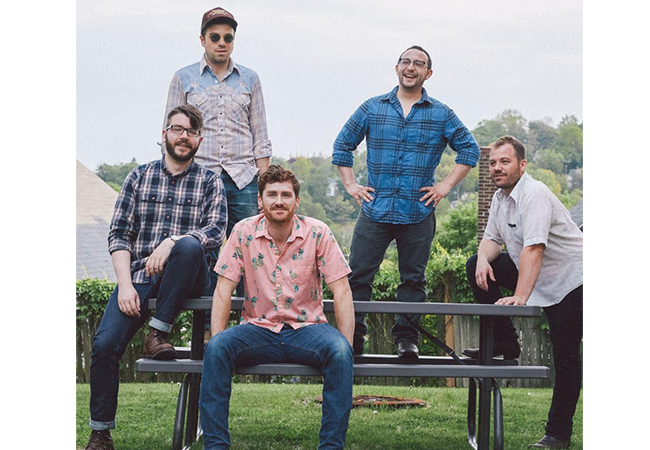 The group comprises Patrick Mulroy (guitar, vocals), Zach Meyer (mandolin, vocals), Michael Harmon (bass, vocals), Tom Farrell (lead guitar), and Alex Barstow (fiddle). Their debut EP Animal was released in November of 2015. That EP showcased the band's roots in folk, bluegrass, and old time music. The band’s first full-length record is​ propelled by M​ulroy's lyrical approach which is met equally with songs of loss and regret, and the struggles of the everyday working man with a satirical twist​. Stardust Lodge​ explores the boundaries of the Americana genre adding drums, pedal steel, and electric guitars to their core, acoustic-roots sound. Please get in touch with Paddy at [email protected] for guest list, interviews, or promo copies of ​Stardust Lodge​.